As you can tell a lot of the buildings from this photo have either been modified or demolished. The Wayne County Building is the staple of the picture and stills holds down that piece of real estate to this day. The majority of buildings that run along either side of the boulevard are gone. The building at the end of the block does still in fact stand today and is home to the Greenwich Time Pub. 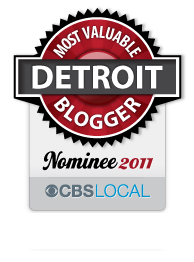 Buildings you would see today in the background would include the Milliner Center and the Ren Cen. 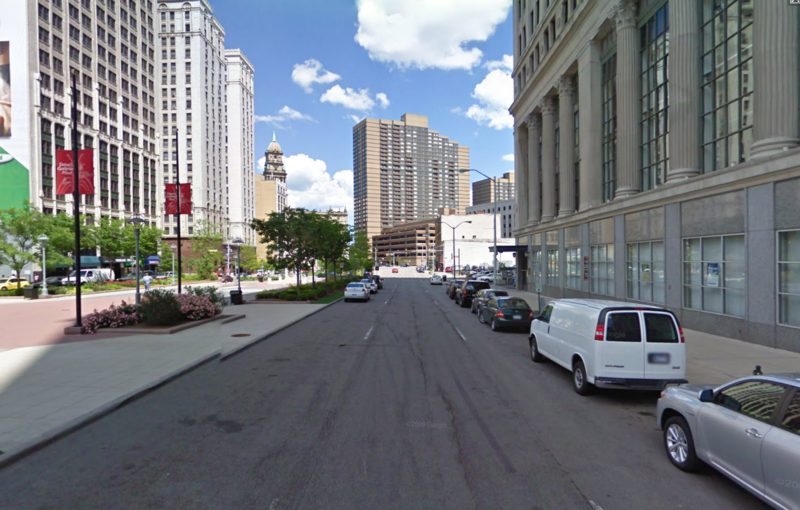 The left side is home to much larger buildings where the right side fell victim to parking lots. 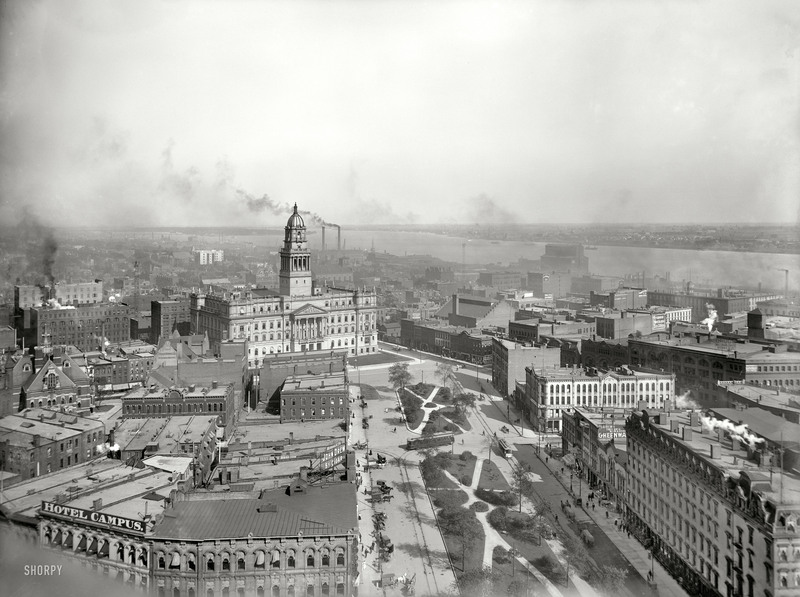 Detroit, Michigan, circa 1903. “Wayne County Building, looking east from Majestic Building.” This view includes a couple of the city’s arc-lamp “moonlight towers.” 8×10 inch glass negative, Detroit Publishing Co.